Fourteen adults were recruited from those scheduled at the Salem Veterans Affairs Medical Center for a diagnostic polysomnogram (PSG). 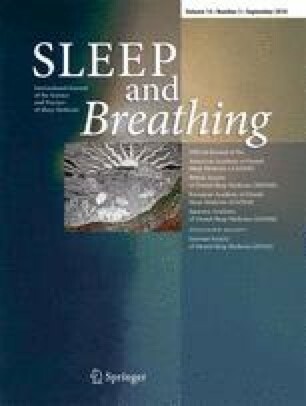 Fasting serum PRL, estradiol, follicle-stimulating hormone (FSH), luteinizing hormone (LH), testosterone (Test), glucose, cortisol (Cor), and leptin levels were measured at 7 a.m., the morning after PSG, and again in ten of these patients, after 11–39 months of CPAP therapy. Compliance data, for both short-term (mean, 34 days) and long-term follow-up (mean, 304 days), were downloaded. Except PRL, no other hormone's serum level, including that of FSH, LH, Test, Cor, and Leptin, has changed significantly after the CPAP therapy. CPAP therapy is associated with a significant decrease in serum PRL levels.